Consistently on “best of” lists since it opened in 2008 (including taking the No. 1 spot on our own 50 Best Restaurants cover in January 2016), Cakes & Ale’s sudden closure in June 2018 was a shock to many in Atlanta’s culinary community. 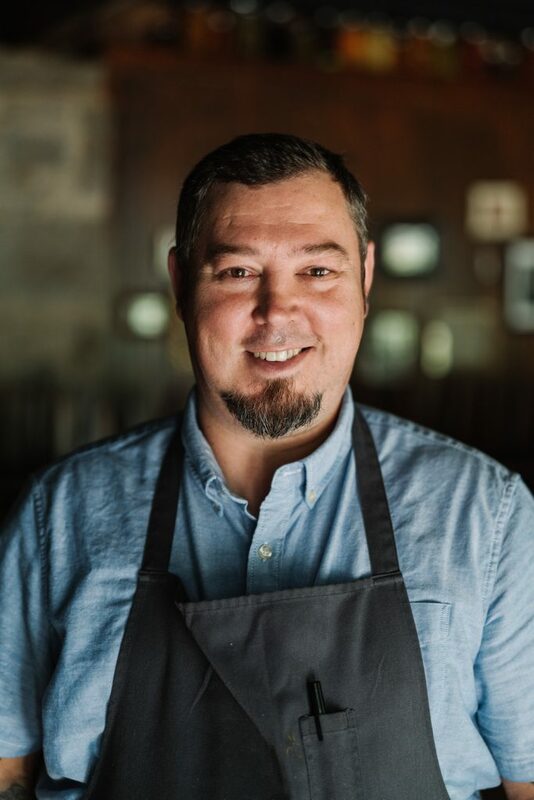 Now, Wrecking Bar’s Terry Koval aims to uphold the powerful reputation of the Decatur Square space with his new restaurant the Deer & the Dove. Along with partner George Frangos (Farm Burger), Koval plans to open the new American restaurant in April. They’re also turning the adjacent space—formerly home to the Bakery at Cakes & Ale—into a coffee and wine bar called Side Bar. The Deer & the Dove will serve dinner Tuesday through Sunday, plus weekend brunch. Side Bar will offer coffee and sandwiches from 7 a.m. to 3 p.m.; and wine, beer, and cocktails with small plates in the evening. We spoke to Koval and Frangos to find out more about their plans for the food, the beverage program, and the space. Tell me about the concept of the Deer and the Dove. Terry Koval: It’s a neighborhood restaurant that has high energy, a good vibe, and a very welcoming environment. I’ll be doing the same thing I’ve been doing for past decade: building relationships in the community with local farmers and friends, and serving good food. What’s the idea behind Side Bar? 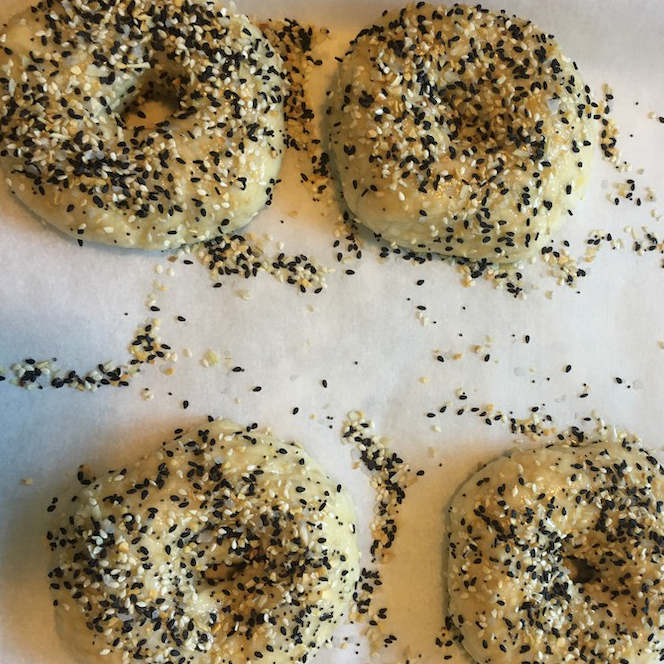 Koval: In the morning, it’ll have bagels. It’s very fast-casual, with a lot of grab-and-go. There will be a couple of small sandwiches and maybe a couple of salads. You’ll be able to sit and relax if need be. In the evening, it’ll be a low-key wine and cocktail bar with small plates. It’s a place you can go before a show or another restaurant. We’ll also use it for overflow from the Deer & the Dove and utilize the space for pop-ups. I’ve heard the food described as “rustic, new American.” What does that mean? Koval: Mediterranean influences but not hummus or flatbread—a lot of fresh fish. Think rabbit, venison, maybe ostrich. A lot of wild foods—goat, lamb, duck, half chicken, whole chicken—sourced responsibly. We’ll have a beautiful wood-burning oven. We can salt some ducks, break ‘em down, and put duck leg in the oven with some nice vegetables. Think small and sharable. You can come in and get two or three plates before dinner. There will be some larger plates for dinner as well—some snapper heads with collar, maybe halibut. There will be whole fish, nice salads, and vegetables. Frangos: Terry’s been so connected to the farming scene. He’ll be utilizing his connections and bringing them through the seasons. It’s not a heavy Southern but instead has some classical French and Italian influences. It’ll be approachable with a rustic, country style; real seasonal farm-to-table. How will you make the restaurant approachable when the menu features less common proteins like goat and venison? Koval: When we opened Farm Burger in 2010, we had bone marrow, chicken liver, and pork cheek. We wondered how it would be perceived, but it sold really well. These are the ingredients I’ve always used in my cooking. It’s about how you put it out there. You can still make it approachable. You can do rabbit stew or use the leg. It’s educating the staff about how to talk about it. [For example,] beef cheek is pot roast as far as I’m concerned. There will be a lot of fresh pasta made in house. I’m sure we’ll end up with something like a burger on the menu. It might be a really nice grilled cheese. Who knows? What kind of sandwiches will be served at Side Bar? Koval: Think egg on a roll. We’re going to try to make some bagels in the wood-burning oven. Frangos: We’re thinking about three to four items from my New York roots—that corner bodega/deli. We might make our own focaccia with rotating meats like chicken or fish. We’ll be utilizing items from the restaurant that we can incorporate in sandwiches. Terry makes a great corned beef and pastrami that might find its way into something. There might be some fun items as well, like pickled beef tongue and beef cheek sloppy joes. What’s the plan for the beverage program? Frangos: The idea is to keep it very focused and well curated. Koval: You’ll definitely see some Atlanta Brewing, Creature Comforts, and Wrecking Bar options. We’ll have beer both on tap and in cans. Frangos: The wine focus will be unique and creative, but approachable. It’ll be well-selected, with some off regions in France, Italy, and California. What kind of changes are you making to the old Cakes & Ale space? Koval: We’ll be opening up the space more to incorporate the bar and dining room into one central area. The wood-burning oven will face into dining room. We’re lightening up the space with whites and mustardy colors. We’re making it less formal. Side Bar has great bones with a marble bar and stools. There’s some wine shelves that we’ll be taking out.